Are these an actual breed? Dug up an old garage sale pic that I have had over 20 years. Wife asked me what breed of dog was/is depicted. Not sure if a real breed or a artists representation of what he thinks a hunting dog should look like. Great old pic !! Looks like a springer spaniel to me. "If you Take Your Kids Hunting, You won't have to go Hunting for Your Kids"!! Springer spaniels have docked tails. Looks like an English Setter. Back ones tail and frame say English setter. Front dog says dogs are not the artists forte. Reminds me of the pics on old calendars by Currier and Ives. 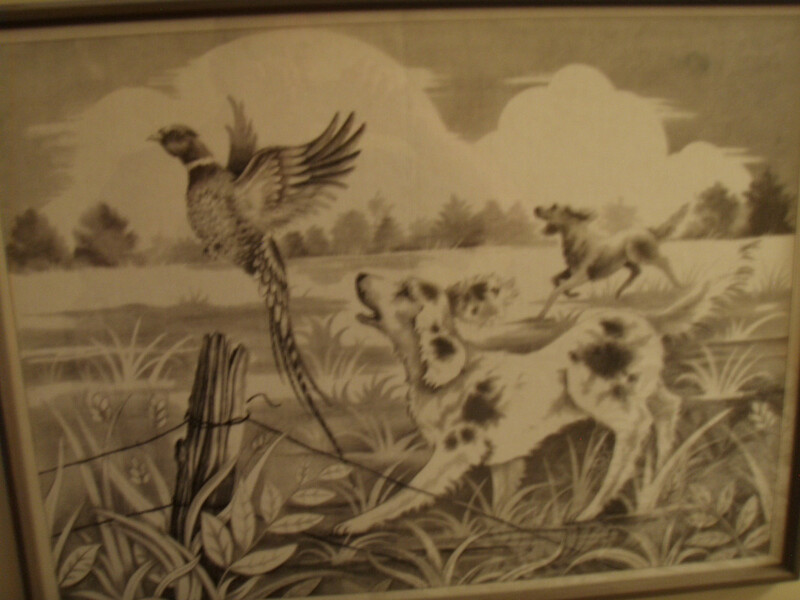 I think what is depicted is are field setters.